This wine isn’t produced every vintage and only in small volume. 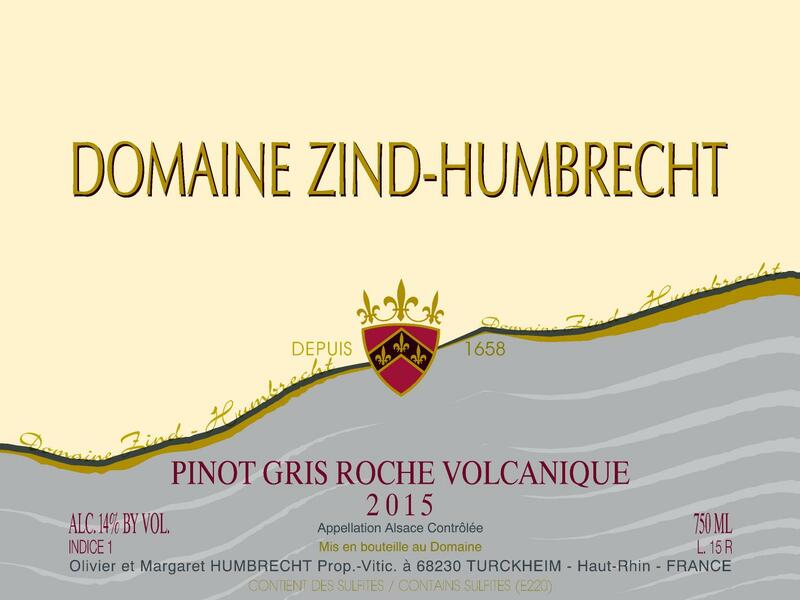 It is made from some of our Pinot Gris vines that were planted between 1978 and 1995 in the Rangen vineyard in Thann. In extreme vintages like 2015, there is a clear difference with the oldest vines and we feel that they should be separated. Younger vines would often have less deep roots only sometimes a slightly higher crop, explaining the difference. It still originates from a superb vineyard and the volcanic rock influences strongly the taste and style of this wine. Harvested the same day as the older vines, it had a lower potential, no noble rot and was therefore able to ferment dry. 8/2017: gold colour. The nose shows the volcanic pedigree right from the first smell: flint, smoke… The palate is compact, quite intense, dry, almost has a Riesling saline touch. The finish is elegant and long, quite dry and possesses the signature of the vineyard, but without the complexity and longevity one would expect from a great Grand Cru. It is however a very interesting wine that allows one to understand the volcanic soil influence.